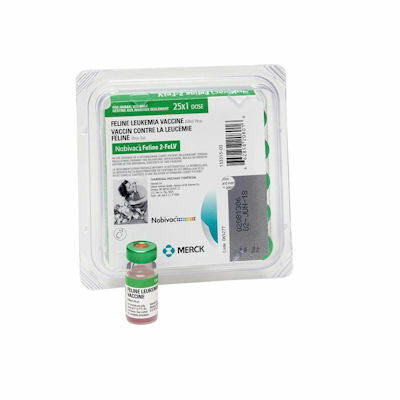 Nobivac Feline 2-FeLV(Merck) is a vaccine for prevention of lymphoid tumers caused by, and diseases associated with Feline Leukemia virus FeLV infections. Administer 2 injections 3-4 weeks apart on cats 9 weeks of age or older. Produces a 2 year level of immunity, revaccinate every 2 years.